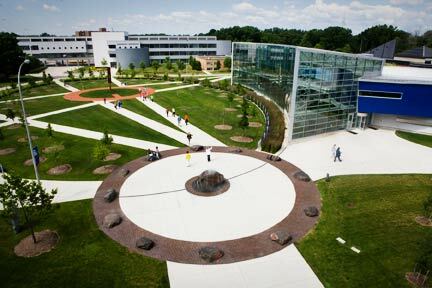 Lawrence Technological University (LTU), located within the Southfield City Centre district, has launched a design competition that challenges students to visualize and create a “third place” within walking distance of the LTU campus. What is a “third place?” It is a public place separate from the rest of your life where you can go to relax, have a good time and be sociable several hours a week. It can be anything from a sandwich or coffee shop to a laundromat or a restaurant. The “first place” is your home and the “second place” is work or school. Students at Lawrence Tech have long expressed a desire for more of a walkable, college atmosphere at the university. The Third Place Design Competition fits into the City Centre’s plans to develop a more pedestrian-friendly and vibrant lifestyle district. The winning “third place” will be located on the corner of Evergreen Road and 10 Mile Road in the City Centre Plaza. The LTU students’ design must utilize an existing space in the Plaza. Contest submissions are due on March 30 and will be judged by Terry Croad, Director of Planning for the City of Southfield; Hassan Jawad, President of Tower Real Estate Ventures and a member of the City Centre Advisory Board; Kevin Finn, LTU Dean of Students; Phil Lucas, LTU President of Student Government; and Don Reimer, LTU Director of Entrepreneurial Programs. It is anticipated that the winning design will be announced on April 17, 2012. For more information on the Lawrence Tech Third Place Design Competition, visit www.ltu.edu/thirdplace.